We offer complete web development services including web design, copy-writing, development and web hosting. Since 2008 we have been creating websites for small-to-medium sized businesses and helping them succeed online. We specialize in Joomla and WordPress web development. Joomla and WordPress are award-winning content management systems (CMS), which we use to build affordable and secure web sites that can be found online by your customers. It all Starts with a Great Website! Specializing in Joomla and WordPress web development - proven, flexible & secure platforms. Over 10 years of experience developing great looking websites for small-to-medium sized businesses. 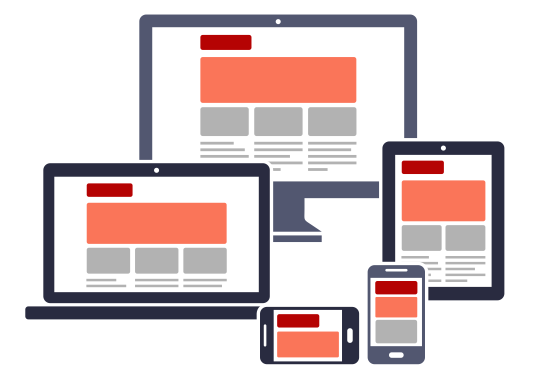 Our development team create sites that function perfectly on any screen size (Desktop, Tablet, Phone). Utilizing an ultra fast fully redundant third party DNS solution - improving site speed and uptime. Providing robust business class email that includes webmail, anti spam & anti virus - free with hosting plan. Offering a turnkey solution featuring web design, hosting, PPC, SEO, domain registration & email. Local Supplier - based in Oakville & serving customers in Oakville, Burlington, Milton, Halton Hills and throughout Ontario. Having a properly structured and designed website is one of the most effective tools a business can use to reach their existing clients and to obtain new ones. To succeed online you need a professional and reliable partner who is experienced at working with and helping a wide variety of businesses. Call us today at (905) 901-3886 to speak with a friendly and knowledgable member of our staff before you start your next web project. I want to thank you and your team for all the work you've done updating our WordPress website. Our previous site was outdated and the user experience on mobile devices was poor. The improvements you made resulted in a noticable increase in leads coming from our website. I would highly recommend Hwy52 Digital for web design and development services!